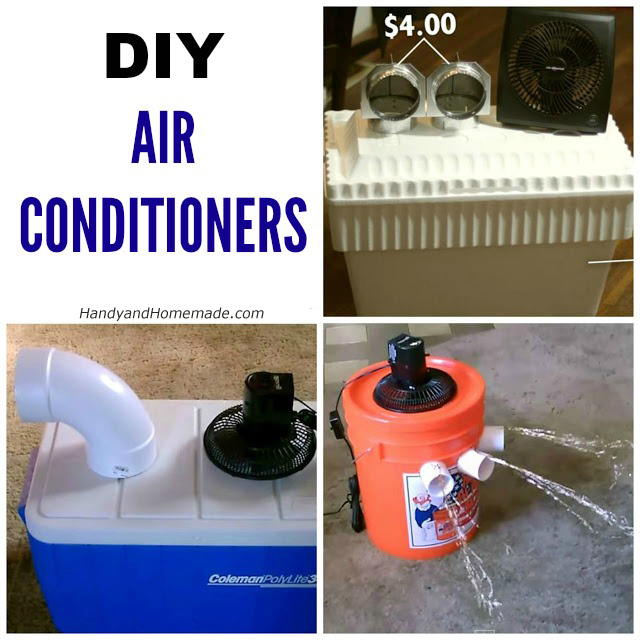 Here are some great DIY homemade air conditioner projects that will save you money and the environment this year while keeping you cool. These projects use way less power then an A/C unit and cost a fraction of the price to make. This one can be solar powered as well! You will need: bucket, styrofoam liner, pvc pipe, small fan and ice. One frozen gallon jug of water lasted 6 hours. An inexpensive way to keep cool this summer! 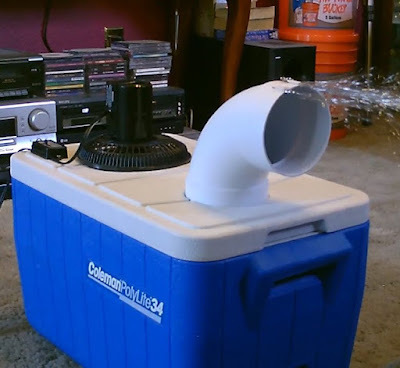 You will need: styrofoam cooler, 2 dryer vents and fan. This one produces very cold air, 42F air (in an 80F room). You will need: ice chest (hard-sided or styrofoam), pvc pipe, small fan and ice. 3 ways to power it: a solar panel, a battery or an automobile (using 12v socket "cig. plug").